About a year and a half ago, Instapaper was the app of choice for saving articles to read later. The service saved the article on your web browser, stripped away all the formatting and compiled it in one place for you to read when you actually had the time. Instapaper was super-convenient and innovative. They were the first to create a browser plugin that saved the article and archived it in one click. They were the first to launch a mobile app that synced your articles across devices, so you could read on your smartphone what you didn’t have time to read on your PC. They were the first to make content available offline so you could read in the subway when you couldn’t do much else. Instapaper had competitors, but it was far and away the market leader. Services like Pocket and Readability were way in the rearview mirror. A couple of years ago, Instapaper withdrew its app from the App Store and replaced it with a new one users had to buy for $2.99. Existing users were not grandfathered in (I was one of those users). Instapaper also started charging for its search feature. If you didn’t remember the title of an article and exactly when you saved it, you couldn’t go back and find it unless you paid for a year-long subscription. Enter Pocket. Pocket is pretty much exactly like Instapaper except it has a more colorful logo. Pocket also has browser plugins. Ditto mobile apps, offline sync etc. 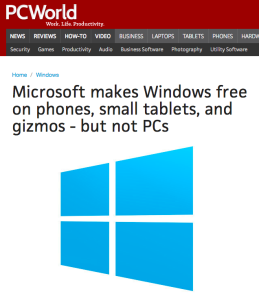 But their mobile apps are free. Their search function? Also free. Sure. But not by charging users if you’re in the consumer space. Especially not by charging for a core feature that a competitor can give away for free. 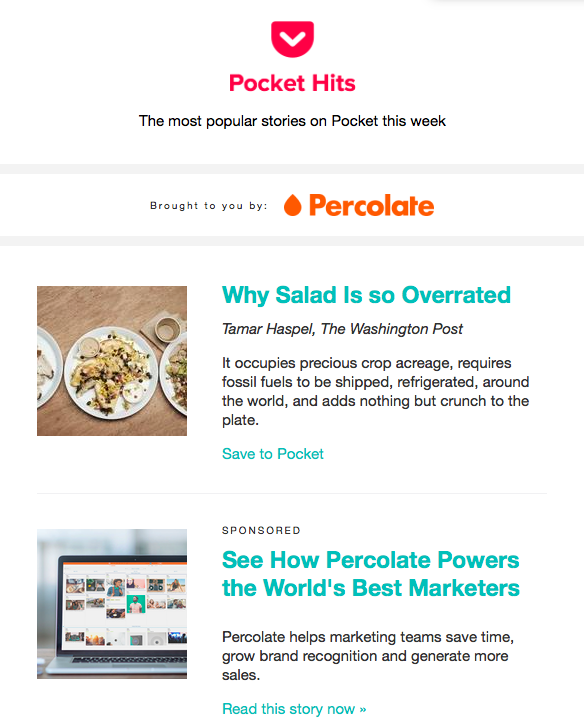 So Pocket has since leapfrogged Instapaper and now has a bajillion email addresses to which they send a weekly digest of popular articles. I look through that every week because I find it valuable and interesting. And guess what? There’s advertising in it! And guess what. Pocket is making money. Without sacrificing growth. They also recently launched a new tab in the app called “Recommended” articles. What’s the play there, you might ask? Pocket can easily insert paid recommendations in that tab a la Outbrain and Taboola. All of those “recommended articles” at the bottom of an increasing number of mainstream publications (Slate etc.) are paying Taboola and Outbrain to bring traffic to them. Eventually, they’ll just need to flip the switch. So there you have it. Revenue without sacrificing growth. Lesson: Find a different way to make money. The consumer internet game has changed. It’s not about charging users for key features. Being first doesn’t mean anything. The key is delivering a valuable service to your users and finding a frictionless way to generate revenue. That’s the ticket. 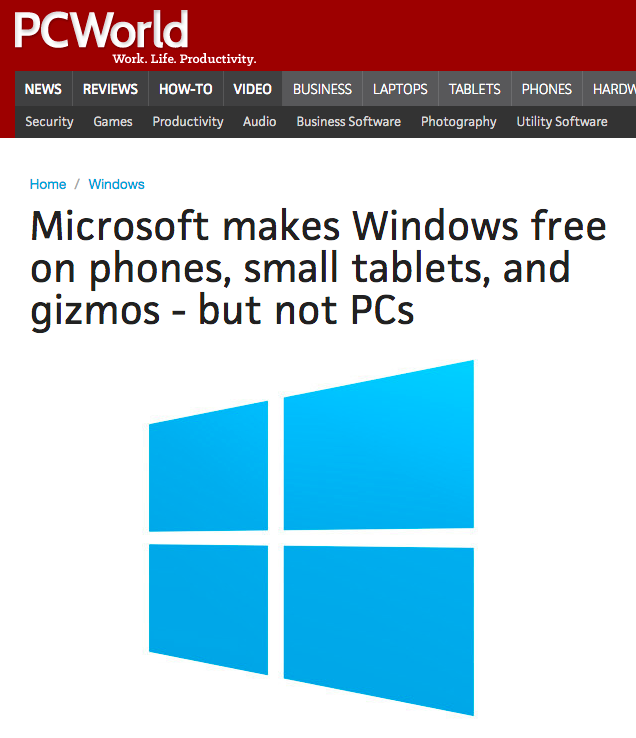 Remember when Microsoft used to sell licenses to Windows mobile and then Google came along and said ANDROID FOR FREE EVERYBODY?!? Giving away Android for free makes Google money by funneling Android users to Google search and Google services. Your move Microsoft. But the sad thing is you usually don’t get a second shot at the growth game. Why? Lock-in. Because you can’t. Beat. Free. And Microsoft has never caught up.